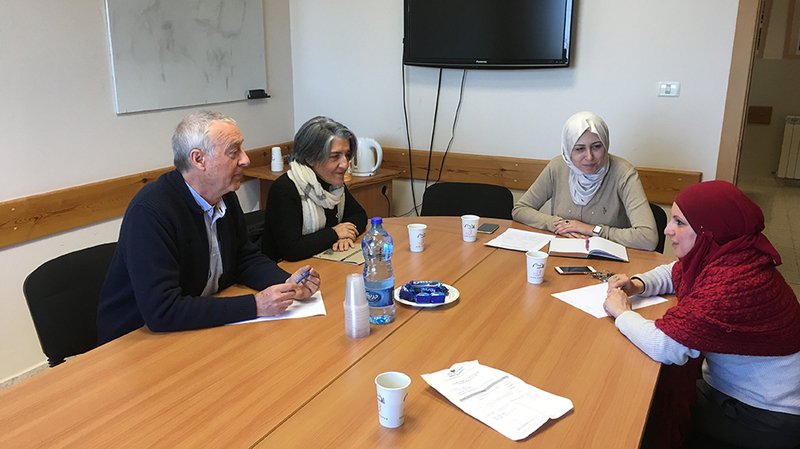 Birzeit University faculty and staff members explored expanding cooperation with the University of Málaga in several meetings held with Maria Rosario Cabello, a professor of pharmacology, and Javier Barquin Ruiz, a professor of education, in a visit they made to the campus on Tuesday, January 29, 2019. 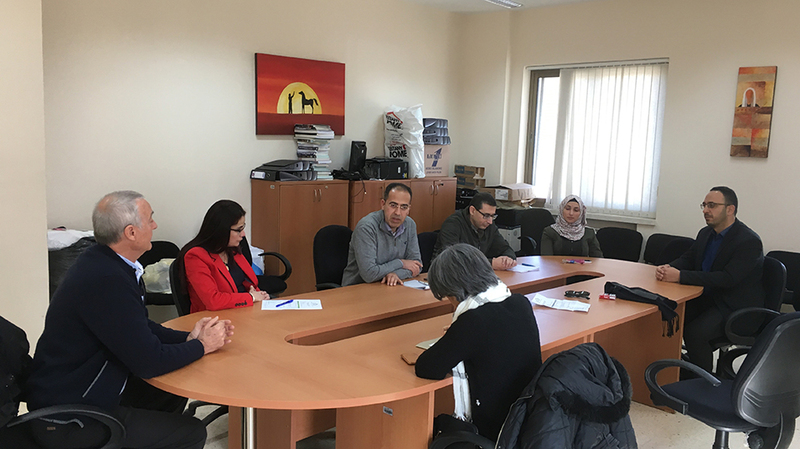 The Spanish team, who aim to bolster collaboration between the two universities under the Erasmus Plus academic exchange program, met with Amir Khalil, the external academic relations officer at Birzeit University, and discussed faculty, staff, and student exchange opportunities. 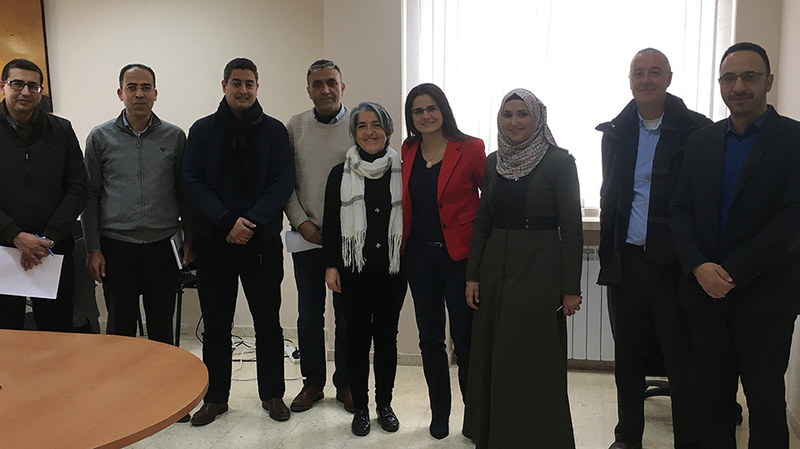 Two Birzeit University students have completed exchange semesters at the University of Málaga, with two more students and two professors preparing to teach there in the upcoming semester. 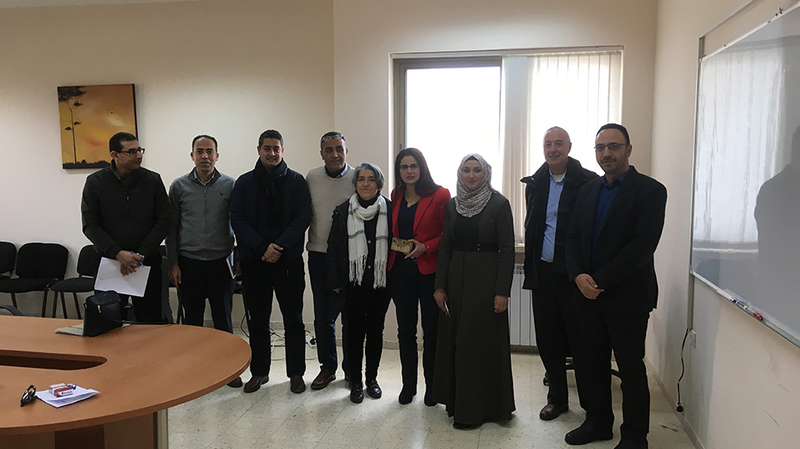 Refa' Al-Ramahi, a professor of education, and examined staff and student mobility schemes and joint research projects between Birzeit University and the University of Málaga in education innovation. Additionally, Cabello and Ruiz joined Rania Abu-Hamdah, dean of the Faculty of Pharmacy, Nursing and Health Professions; Thair Odeh, chair of the Department of Audiology and Speech Therapy; Safaa Muhanna, chair of the Department of Nutrition and Dietetics; Mutaz Dredei, chair of the Department of Nursing; Abdullah Rabba, chair of the Department of Pharmacy; and Mahmoud Srour, director of the Master’s Program Master Program in Clinical Laboratory Sciences, in a meeting to explore joint international credit mobility and research projects.